A new generation of designers envisions a future where the African nation is known for its stylish fashion, not only its genocidal past. Nigeria's government is investigating data crunching firm Cambridge Analytica's involvement in the country's 2015 elections, a presidential aide says. In 2010, when Alice Walker was in South Africa to deliver the annual Steve Biko Memorial Lecture, I was invited to interview the great American writer. It was Walker's first visit to the country, and for reasons I could not fathom at the time, the director of the Steve Biko Foundation presented me with a list of subjects that were off-limits. 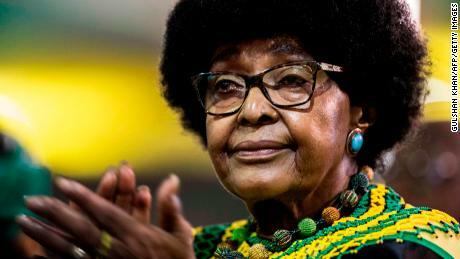 Top of the list was Winnie Madikizela-Mandela. Ethiopia's new prime minister, Abiye Ahmed, was sworn in by parliament Monday. For American Jews who can’t go too long without their favorite carbohydrates, the end of Passover offers nearly as much cause for celebration as the holiday itself. Many begin right at sundown, wolfing down pizzas. Then come the brownies or other foods with the flour that they have been avoiding in a nod to ancestors who had no time to let bread dough rise while fleeing Egypt. Unbeknown to many Americans, however, Moroccan Jews have long marked the end of Passover with a more established ritual, a raucous tradition known as Mimouna. Soon after sunset on the last night of the holiday (observed this year on Friday or Saturday), they indulge in the first leavened food since Passover began: moufleta, a pan-cooked cake smeared with butter and honey. A variety of other Moroccan sweets follow, on a long, elaborately decorated table that includes the requisite mint tea. For Jews in Israel, where many Moroccans immigrated in the decades a.. Constant research and careful study of animals in their natural habitat, are needed for making better decisions.